Foldaway legs for easy transportation and maximum stability. 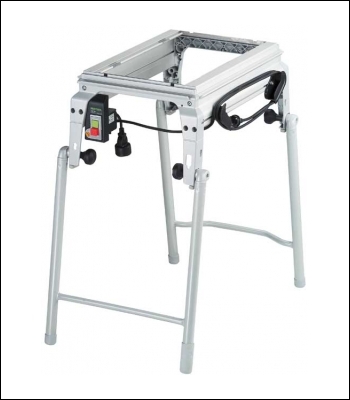 Foldaway legs adjustable to one of two working heights - flexible and convenient. Minimum set-up times, modules changed in seconds. One basic unit for all modules - saving time and money. Sawing, routing and sanding are all possible in combination with modules. Lightweight, compact design for flexible use at assembly locations and in the workshop. Modular system guarantees high economic efficiency.